This $9,994,854 project brings together the clean energy, advanced manufacturing and construction sectors to prepare participants for employment in entry level, pre-apprenticeship and apprenticeship occupations. It addresses the unique needs of unemployed, or under-employed dislocated workers, using innovative and sophisticated strategies. Navigation Process – Implement Student Education and Career Navigation Navigators will link support services, education/training providers, career and industry information, and employment opportunities; serve clean energy, advanced manufacturing and construction industries; and assist 1,992 adults including dislocated workers, veterans (and spouses), women, minorities. Work Ready Washington – WISE establishes testing sites at partner colleges, Workforce Development Councils, and WorkSource offices. These sites will offer ACT National Career Readiness Certificate™ (ACT NCRC®) – a nationally recognized credential that validates a skilled labor workforce within the community – to support Work Ready Washington. Lifelong Learning Loop – Today’s workforce requires constant learning. The consortium creates a lifelong learning loop for workers to earn certificates, associate and bachelor degrees. Stacked and latticed credentials and pathways accelerate the time for workers to return to employment in family wage jobs. Based on previous skills, gaps in education, and career interests, participants will find employment in internships, customer service positions, entry level technical jobs and skilled trade apprenticeships. The project builds capacity in existing pre-apprenticeship programs aligned with clean energy, advanced manufacturing and construction apprenticeships. Based on apprenticeship entry standards, programs will result in graduates earning certifications and associate degrees making them strongly competitive for selection into apprenticeship. 1. Strong growth trades demanding large numbers of new workers due to demand-side factors (i.e. industry growth, emerging technologies). 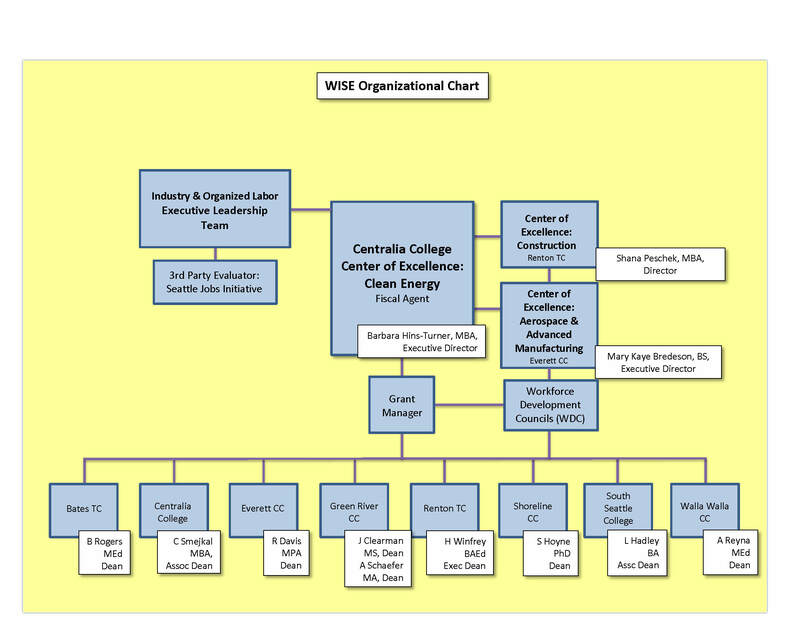 WISE works with existing Veteran Alignment Programs to accelerate veterans into careers. Specifically, the project will provide outreach, navigation, and online curriculum resources to better serve veterans. Consortium colleges will support a Multi-Occupational Trades Associates in Applied Science (MOT AAS) degree. This program provides a degree pathway that augments the trade specific technical skills obtained through a rigorous apprenticeship program with general education obtained in a college degree program. A process for Credit for Prior Learning will be developed among the consortium to support the Washington state legislature’s goals of facilitating Credit for Prior Learning (RCW 28B.77.230). WISE identifies past training and education using placement exams, military training, work experience, apprenticeship, and industry credentials to accelerate participants through the training pipeline. Project partners will also work with journey level workers to advance through their career. They may move from field work to supervisory positions using earned credentials through associate and baccalaureate degreesand Leadership in the Trades Certification. This allows employers to strengthen their current workforce by promoting from within; and open apprentice and journey level opportunities to project participants. 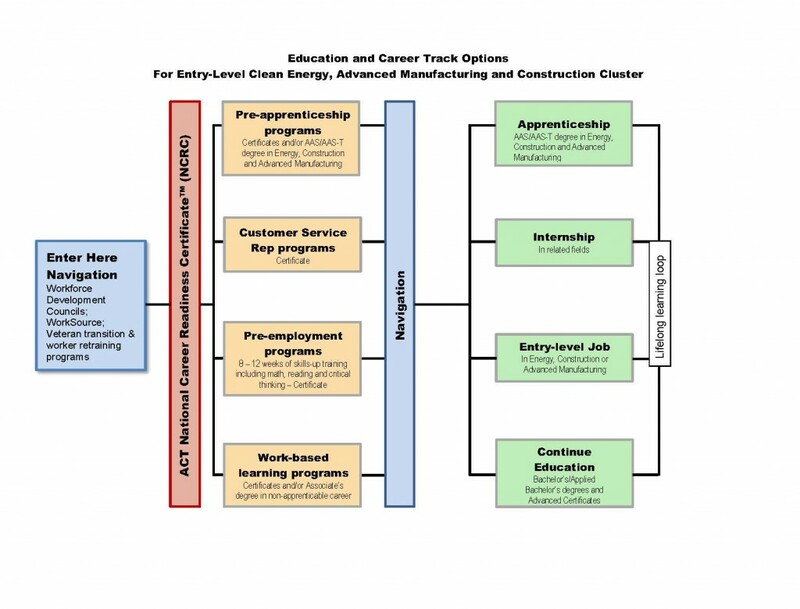 Enhance Educational Programs – WISE supports partnering CTCs by creating new curriculum and strengthening existing programs within the clean energy, advanced manufacturing and construction programs. Enhancements include online development and delivery, additional software, computer labs and hands-on training equipment. Support – This statewide WISE consortium is supported by Governor Jay Inslee, Senator Patty Murray, Senator Maria Cantwell, the advisory boards of the three Centers of Excellence, and includes industry partners such as Absher Construction, Avista, City of Seattle, CIMtech, Pacific Tool, PTI Machining & Manufacturing, Puget Sound Energy, Royelle Manufacturing, Spokane Homebuilders Association, Tacoma Power, Washington State Labor Council AFL-CIO and others.